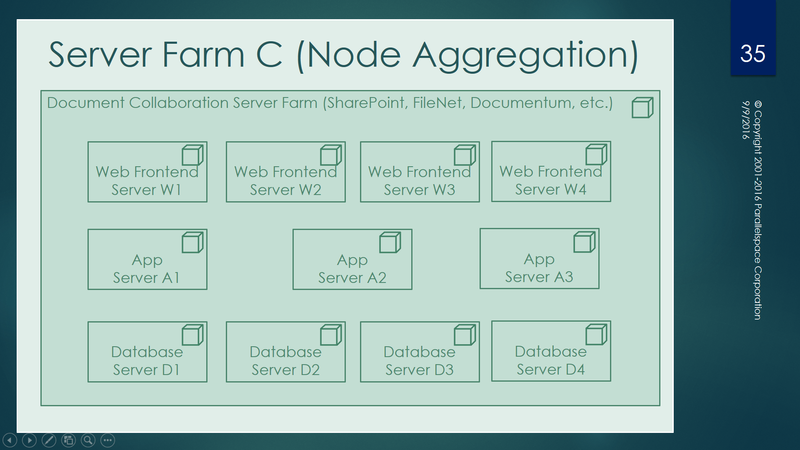 I use the same pattern as is described on the picture with Farm A and Farm C. This is the natural way how to visualize the SharePoint farms. 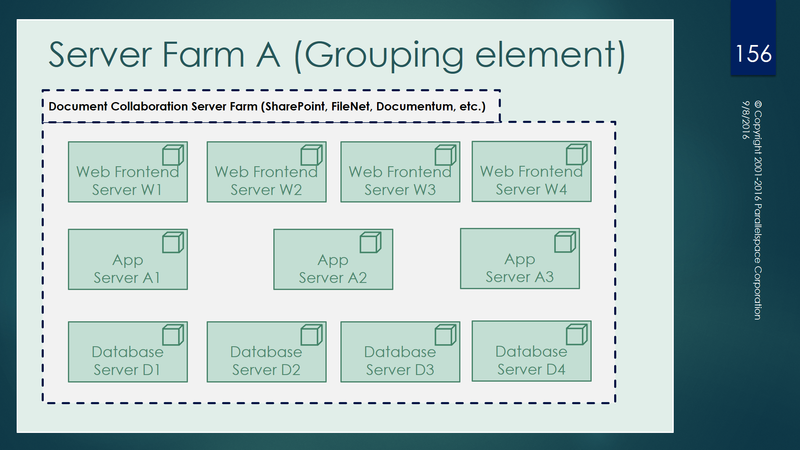 I use also more granular diagrams where I model the SharePoint “Services” as a Archimate Functions (Because Services in Archimate have different meaning ,right?) and the Archimate Services are then used for modeling Services for non SharePoint applications and Business Procesess, Actors etc. The Archimate 3 grouping seems to improve the modeling of the farms, however thinking about it, the Archimate 2.1 way also makes sense because then you have one Node concept which you can reuse as an aggregated representation of a Farm in another models with higher level of abstraction (where Node is a farm and no details about web,app,db servers are needed). The question is what do want to model exactly and what is needed to visualize. To me the Farm B diagram is a try to model virtual platform but there is a question if there is need for this sort of visualization. The administrators of virtual infrastructure have already their way how to visualize virtual infrastructure and in still more and more CLOUDy environments everything is more less node or even just a service. So visualization of the virtualization technology in EA or Solution Architecture doesn’t make sense.